People often ask about iron in drinking water. It has the abilty to stain fixtures, clog certain types of filters, stain clothes, ruin the taste of food and beverages, cause water to have an unpleasant taste, etc. It does not, however, at least according to the current Primary and Secondary Drinking Water Standards set forth by the USEPA, pose a health risk. Note: The USEPA has set the Maximum Contaminant Level for iron in drinking water at 0.3 ppm in their Secondary Drinking Water Standards, which deal more with aesthetic properties of water than with health-related issues. Ferrous — This form of iron results in the most complaints and reasons for examination of water for iron content. If allowed to remain in a state with little oxygen present, this type of iron remains in solution and the water will appear colorless. However, in the case of tap water allowed to remain in service lines coming from a well or other source, rust colored iron particles may begin to precipitate out of solution. 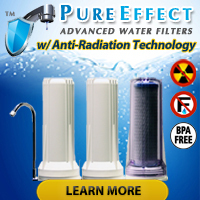 These particles obviously ruin water clarity and give the impression of unsafe drinking water. Additionally, they clog certain types of water filtration systems and cause the owners of those water filtration systems to replace them well in advance of their expected replacement dates. Water professionals often refer to this type of iron in water as ‘clear iron’. Ferric — This form of iron creates sediments ranging in color from riddish-brown all the way to black and the precipitates formed will not go back into solution. Therefore they pose a great problem for water filtration systems. Water professionals often refer to this form of iron in water as ‘red iron’. Iron Bacteria — While this form of bacteria does have the word ‘bacteria’ in it, it has no pathogenic properties and exists more as a nuisance than anything else. You can expect to find this form of bacteria in drinking water showing up in soil, ground water, and surface water. In a household environment you may encounter this form of bacteria lingering around the metal parts of plumbing fixtures and/or in dark areas such as spaces hidden under the toilet lid tank. Appearance-wise this form of iron in drinking water can look like a slimy or gelatinous substance hanging in the water. With regard to color, the substance will typically appear brown, red or sometimes even white. Organic Iron — This form of iron exists in a complexed form with a wide variety of different organic materials. It typically has a yellow or brown appearance and shows up mainly in shallow wells and surface water. If you want to test for iron, keep in mind that a lot of home water test kits will not detect total iron (Fe+2 and Fe+3). Also keep in mind that even the total iron test kits do not detect iron bacteria or organic iron. Therefore, when attempting to diagnose your water’s potential iron problems, make sure that you choose the proper test kit and/or certified laboratory testing service for your individual water testing needs. 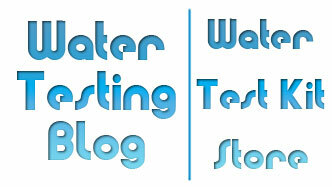 What do we suggest as options for water testing when it comes to detecting iron in drinking water? Companies such as National Testing Laboratories offer nice packages of comprehensive water testing services that you may want to explore. If you have only ferrous and ferric iron as your main concerns, then a simple home test kit for total iron (Fe+2/Fe+3) such as the WaterWorkstm Total Iron visual test kit may work quite well. Keep in mind, though, that nothing takes the place of a qualified laboratory analysis of your drinking water when/if you feel your family’s safety is on the line.